I have a good friend who always says, “It’s happy hour somewhere in the world.” LatinoFoodie loves that care-free spirit. When all the work is done and you’ve braved the traffic home, there’s nothing better than to kick off your shoes (or heels) and enjoy a tasty libation. It’s Memorial Day Weekend. Time to relax and enjoy. We are featuring an easy to make margarita. Ah, the margarita. Citrus juices, tequila, ice. Pure heaven. You really can’t go wrong. You’ll probably be seeing many margarita recipes featured on LatinoFoodie in the days and months to come. 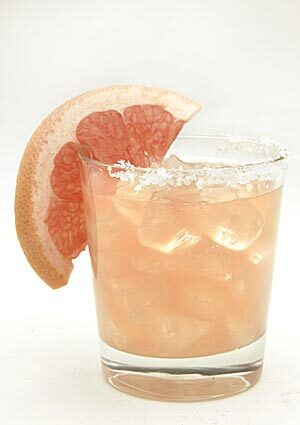 Here’s a recipe for one made with grapefruit. 1. Run a lime wedge halfway around the rims of four margarita glasses and dip into salt. Set aside. 2. Combine 7 ounces grapefruit juice, one-half ounce lime juice, 2 1/2 ounces tequila and 1 ounce triple sec in a cocktail shaker. Shake over ice until chilled. Strain into two ice-filled, salt-rimmed margarita glasses. 3. Garnish with a twist or slice of grapefruit. Repeat to make two more cocktails.